The Hong Kong Rugby Union have confirmed the final 12-man squad for this weekend’s HSBC World Rugby Sevens Series event in Singapore. The Singapore Sevens marks the only opportunity outside of its home event, the Cathay Pacific/HSBC Hong Kong Sevens, for the squad to take part in a World Rugby Sevens Series event this season. Hong Kong has been pooled alongside Series surprise packets France, bidding to reach their third consecutive Cup final after Vancouver and Hong Kong, and Series vets Argentina and Australia. Coming off of a strong showing in Hong Kong last weekend, a squad-wide goal for 2019, and with nothing to prove or lose this weekend in Singapore, the selectors have given opportunities to two more emerging short-form stars in Liam Herbert, who made his senior debut at the Rugby World Cup Sevens in San Francisco last summer, and new find Harry Sayers. The Hong Kong born Sayers returned to the city for the HKRU Premiership season, playing on the wing for Valley in a successful Premiership debut with the young back a regular on the score sheet this season. With prodigious talent, it didn’t take long for the 22-year old from Surrey, United Kingdom to be included in the wider sevens training squad, and coach Paul John has given him his first sevens cap this weekend in Singapore. 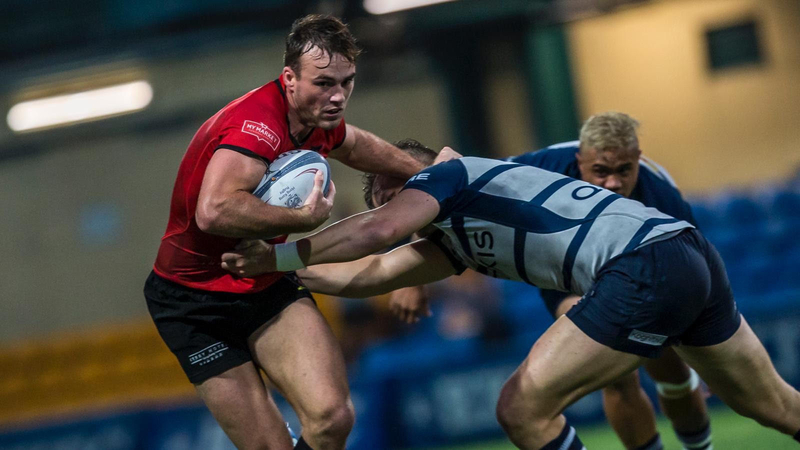 Sayers will be surrounded by experience in the impressive Singapore National Stadium, with nine of last weekend’s 12-man squad - which reached the final of the World Series Qualifier, also named for this weekend’s action, including captain Max Woodward, Cado Lee Ka-to, Salom Yiu Kam-shing, Jamie Hood and Alex McQueen. They will provide a steady hand on the tiller, as will gritty forward Toby Fenn, who just missed out on making the final 12, for Hong Kong, and Raef Morrison, Seb Brien, Jack Neville and Russell Webb who - while relative newcomers to the group have quickly established themselves in the running for places. Hong Kong will open against France tomorrow at 11.52am, before playing Argentina at 2.56pm and Australia at 6.22pm.